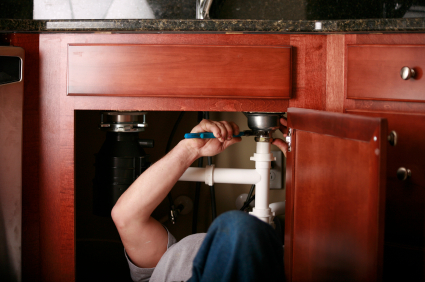 Get a Plumber to Install Your Water filter system or DIY? Get Somebody Who Understands the Most Basic Plumbing to Install Your Under-sink Kitchen Filter. We’re sure there are lots of excellent plumbers out there. But we are hearing more and more about outrageous rates that many plumbers are charging. This is basic and straightforward plumbing. The water goes into the filter and out of the filter. We’re also hearing more and more about plumbers who either won’t come to install a filter unless you buy one from them. Or they come out to the house and tell you what a bad choice you’ve made and they make up reasons to convince you to use theirs instead. We provide what we firmly believe are the best filters available and the best value. Our customers are well informed and made their choice for good reasons. We suggest you don’t get into it with them. A lot of what is repeated to us demonstrates a remarkable level of ignorance about water filters from this fellows. Hey, I don’t know a lot about plumbing. Don’t expect a plumber to know a lot about water filtration. If you find a plumber you are happy with, please let us know his name and contact number, so we can share that info with others. PLEASE – don’t let Hubby install an undercounter water filter you buy from us! Listen, I know he’s a great handyman, and he’s the salt of the earth. He once saved a dog from drowning, and he’s done lots of plumbing before and it has always gone perfectly – well nearly always anyway, there was that time that you had a fountain in the bathroom, but hey, nobody’s perfect. Anyway, we know he’s a wonderful handyman, and he even built you that terrific addition and it came out great. In fact, he’ll tell you he’s done exactly that sort of thing before and had absolutely no problem. He’ll tell you how easy it is – heck, it’s just cutting the filter in the cold water line, after all. DON”T LET HIM INSTALL THE UNDERCOUNTER WATER FILTER. WHY DO I SAY THIS? Because we have sold many, many undercounter filters over the years. There were two occasions when a plumber installed an undercounter filter that there was a problem. Both were quickly and easily fixed – by the plumber. Very little drama, no angst, very little inconvenience. The ratio of successful installs for ‘Dad’ haven’t been nearly so good! I’M IN A POSITION TO HAVE MORE EXPERIENCE IN HOW THIS GOES THAN JUST ABOUT ANYBODY ELSE – YOU CAN TRUST ME ON THIS! Or a particular favorite: ” The water is coming out white! Is this dangerous? What is wrong with your filters! ?” Answer: Nothing is wrong with the filters. Dad has introduced an air leak into the water line and air is in your water. 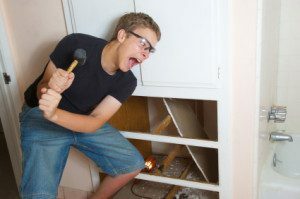 But of course he can’t admit that, or likely even hear it when he is told that is the issue, because that could damage his status as a handyman. It could injure his pride. It is HAS to be someone else’s fault! (No, this is not dangerous. You can know if that is the issue when you fill a glass with filtered water and you can watch the ‘white’ move up and out of the glass. But you just got the best water filter available for your kitchen, you want white water now?) It will clear over time, don’t worry about it. I”M BEGGING YOU – PLEASE, JUST CALL A PLUMBER! Your husband has a long list of things he could be working on around the house – ask him to do one of those instead. Or tell him this job is just too small for a man of his talents. Ask him to rehang that door – that will keep him busy for hours – maybe a couple of days! Or you could tell him he’s just been working too hard, and you want him to have a break and let somebody else do the work for once – like a man of his stature deserves. Think of something; just don’t let him do it! And …….. if you and he just won’t listen to me – if things go wrong, the one to call is a plumber – not us! The issue is an installation issue – a plumbing issue – not a water filter issue. 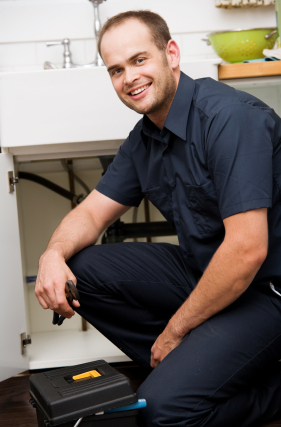 We sell water filters – plumbers install them. With this, you can know that you and your family not only have the best water filtration available – but that it is installed correctly.